A recent study has found that diesel cars remain popular amongst car buyers despite evolving tastes changing spending habits. Conducted by car leasing broker Contracthireacar.com, the study found that trends in consumer tastes had encouraged 20 per cent of customers to lease crossovers in 2015, compared to 15 per cent in 2014 and an insignificant minority when the companies data began in 2006. 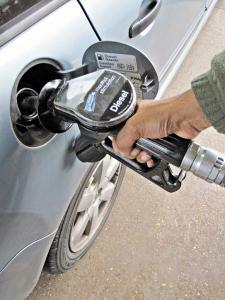 In contrast, diesel cars have remained popular throughout the company's history, chosen by 78 per cent of customers in 2006 compared to 85 per cent in 2015. Changes in customer trends often dictate the type of cars available at car dealerships, and car dealers are regularly required to update their motor trade insurance policy to ensure it covers any type of car that gains popularity amongst consumers. Many car dealers are currently increasing their stock of electric and hybrid cars, which rose in popularity threefold in 2014 compared to 2013, according to the study's data. Craig Davy, Contracthireacar.com’s business manager, agrees that hybrid and electric cars are gaining ground in the market, but suggests diesel is unlikely to lose its fan base within the foreseeable future. He added: "The emissions scandal may eventually result in a slight defection to electric and hybrid cars, but for now, we predict diesel to remain dominant, especially in the corporate contract hire market."